Sonam Kapoor tells it as it is. She's known to be honest and sometimes labelled brash for her honesty. The young actor is still careful about what she says to avoid that ever-present co-star linkup. But of late the actor is heard going ga-ga over Mausam co-star shahid kapoor despite having gone on record saying, "I think the chemistry's better on screen if the pair is not involved off it." 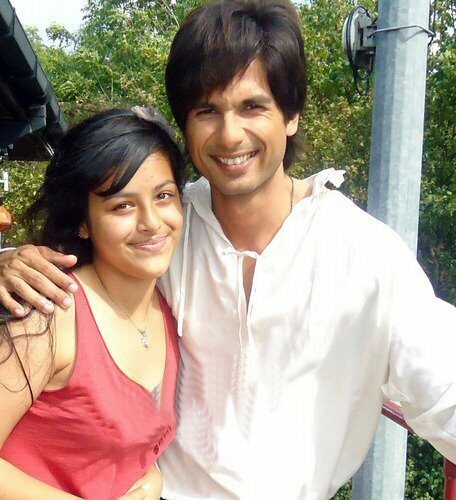 "I didn't know Shahid at all before we started shooting. So, maybe we came in with pre-conceived ideas about each other. But once we understood each other better, we realised that we are far different from what each had imagined. I'm glad that it was all sorted out, as I have found a 3 am friend in him!" she told Daily Bhaskar. What gets tongues wagging is that this confession gushing comes after reports have done the rounds of the two not being able get along at all. "I think most people here have an underlying agenda. They double-talk and simply don't have the guts to stick by what they say. But it has stopped bothering me now. I'm not here to make friends. That's why Shahid is special, because he's such a rarity," she added. While the leading lady of Pankaj Kapur's directorial venture Mausam was all praises about her co-star of the film. She couldn't say the same about another Kapoor - Ranbir Kapoor. "Too much has happened now to call him my friend. I don't think of him as my friend any more," admits Sonam, "I won't regret turning down any offers with him. I don't care if people consider me a snob or arrogant; that's a tag people earn here for being honest, so I'm okay with it." Sonam Kapoor and Shahid Kapoor are going to be the second celebrity contestants of Kaun Banega Crorepati 5. In the first week, Saif Ali Khan and Deepika Padukone appeared in the show to promote their then soon-to-be released movie Aarakshan. This week Soman and Shahid will be promoting their film Mausam which will release on September 16. Both Shahid and Sonam have never been on KBC in the past four seasons. An excited Sonam twitted, "Doing #kbc with @shahidkapoor today! What an auspicious day to start promotions together." Meanwhile, Sonam, who has always stayed away from doing intimate scenes on screen, has reportedly done a passionate smooching scene with Shahid in this film. Initially, the actress was not in favour of doing it but later agreed to do it once director Pankaj Kapoor convinced her.